Another week at the Snow Junkies office, and another pile of deals. We added Diamond Peak, Lookout Pass, and Canaan Resort to our growing list of resorts that give free tickets on your birthday. But let’s get down to business. Here are this week’s best deals. Thursday, Jan 22 @ Wisp Resort, MD: Let’s kick off the week with a $10 ticket to Wisp. Pick up in advance. Thursday, Jan 22 @ Beech Mountain, NC: It’s ladies’ day every Thursday at Beech which means a free ticket–one of the many specials for women skiers and riders around the US. Friday, Jan 23 @ Wildcat, NH: We love parties. Especially ones with $9 lift tickets. Friday, Jan 23 @ Silver Mountain, ID: Drive up in a Toyota and get a free ticket. Friday, Jan 23 @ Elk Mountain, PA: Here’s a $20 ticket to Elk Mountain from local ski shop Salters. Saturday, Jan 24 @ Cranmore, NH: Drive a hybrid? Bring it to Cranmore and get a free lift ticket. Sunday, Jan 25 @ Northstar-at-Tahoe, CA: The Sierra Avalanche Center fundraiser will hook you up with a $40 discounted ticket. Tuesday, Jan 27 @ Mad River Glen, VT: MRG rolls back ticket prices to their 1948 rate of $3.50. Tue & Wed, Jan 27-28 @ Mt. Rose, NV: Another SAC event. This one with a $35 ticket. 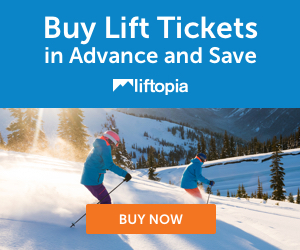 Wednesday, Jan 28 @ Wolf Creek, CO: It’s Local Appreciation Day with $31 tickets. Not a local? No problem. No ID required.